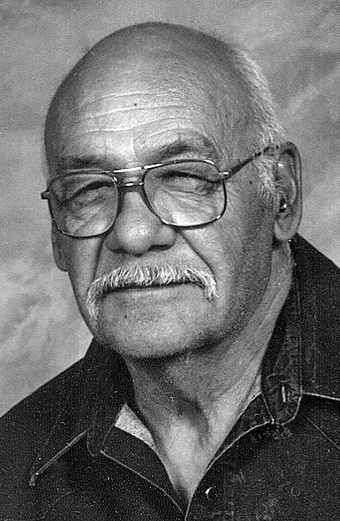 Joe P. Romero, 85, of Salida died Aug. 30, 2018, at Columbine Manor Care Center in Salida. He was born Feb. 4, 1933, in Hohne to Flex and Sanida Cardenas-Romero. He lived most of his life in Leadville, where he worked for ASARCO (Black Cloud Mine), receiving full retirement after 27½ years. His first job was at 16 in a coal mine in Aguilar. He then moved to Superior, Wyo., working for the Union Pacific Coal Co. There he met his wife of 66 years, Sally Morrison. They married in 1952 in Green River, Wyo. In 1955 the couple moved to Leadville. He worked on several tunnels, dams and then went to work for ASARCO (Black Cloud Mine). Family and friends said he was a loving husband and father. They said he loved Jesus, “his Lord and savior.” Mr. Romero was a member of First Christian Church in Salida. He enjoyed watching his children compete in school sports, football, track, skiing, skating and rappelling off sheer mountains. His hobbies were fishing, hunting, camping, rock hunting and visiting sites of interest in Colorado, Wyoming, New Mexico, Utah, Nevada, South Carolina and Georgia. He was preceded in death by his parents; five siblings, Leandro, Jennie, Flora, Ruth and Joe S.; granddaughter AnaLisa Romero; and great-granddaughter Juliette Romero. Survivors include his wife; children, Joseph D. (Lynette) Romero, Patricia L. (Randy) Smith and David W. (Christeen) Romero; twin sister, Rose Sanchez; nine grandchildren; eight great-grandchildren; numerous nieces and nephews; and his favorite dogs, Brutus, Gracie and Jack.